The work, "Ai Petri. Crimea", was painted in 1908 by Arkhip Kuindzhi, a Russian artist of Greek origin, and depicts a mountain in the Crimea peninsula. 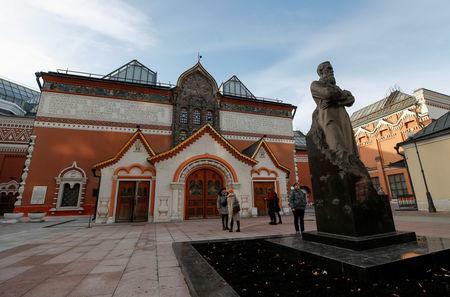 Russian news agencies said the painting was stolen from the Tretyakov gallery, one of Russia's leading art galleries, which has been targeted by criminals several times in recent years. The gallery could not be immediately reached for comment. Last May, one of the country's most treasured 19th century art works, which depicts Tsar Ivan the Terrible cradling his dying son, was damaged by a man with a metal rod. Kuindzhi is known for his landscapes. His 1881 work "Birch grove" was sold at auction house Sotheby's for over $3 million in 2008.